The following shows different sample setups which workaround the problem and let Windows enumerate all J-Links. 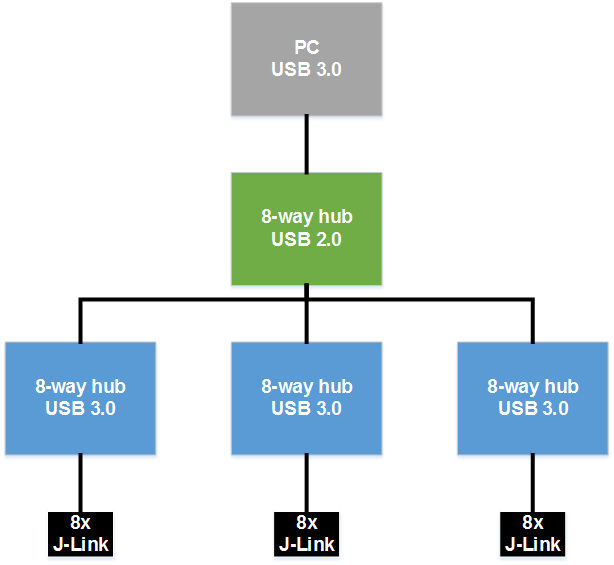 When issuing a firmware update and having J-Link connected to the PC via a J-Link USB Isolator, on some specific models it can happen that communication is lost on firmware update. This is due to a bootloader problem in these devices that unfortunately cannot be fixed via a firmware update. 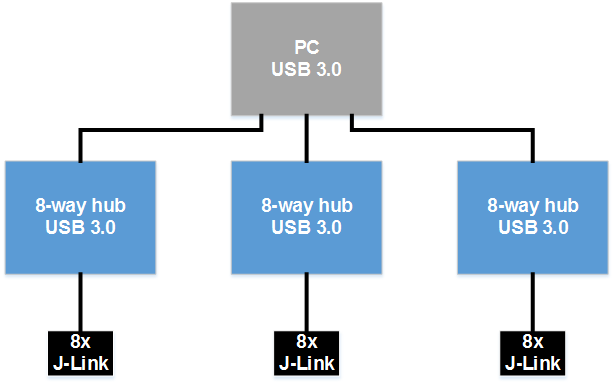 For these J-Links, firmware updates should be applied with no USB Isolator in between. After the firmware update has been successfully performed, the USB Isolator can be used again. This page was last modified on 14 May 2018, at 11:02.